Bandung is the capital of West Java and enjoys a relatively cool climate as it sits on a plateau 768-meters above sea level. Situated near to the densely-populated capital of Jakarta, Bandung is often the choice weekend getaway for many Jakartans looking for a quick escape. One of the easiest ways to reach Bandung from Jakarta is by train, which departs multiple times daily from Gambir Station in Central Jakarta. The trip takes just over three hours, passing through scenic hills on the way, taking passengers to Bandung Station that is situated right in the heart of the city. 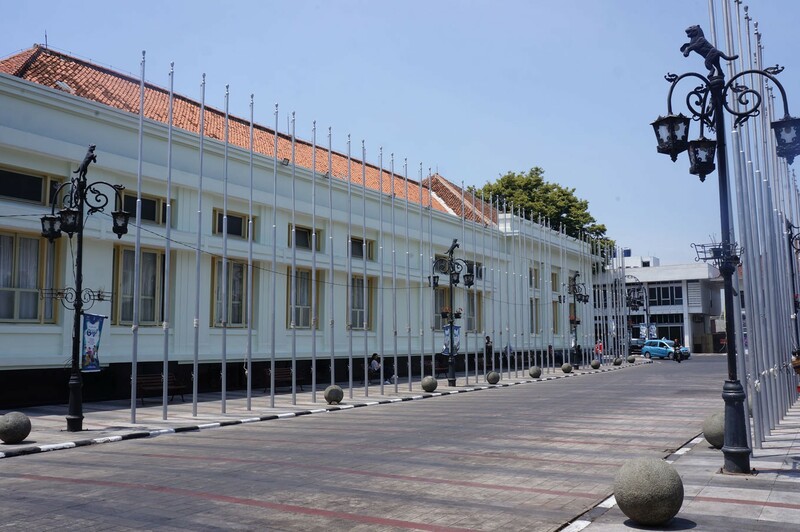 Alternatively, there are also flights from Halim Perdanakusuma International Airport in Jakarta to Bandung's Husein Sastranegara. The direct route is served by Wings Air, a subsidiary of low-cost airline Lion Air Group, with a flight time of 35 minutes. 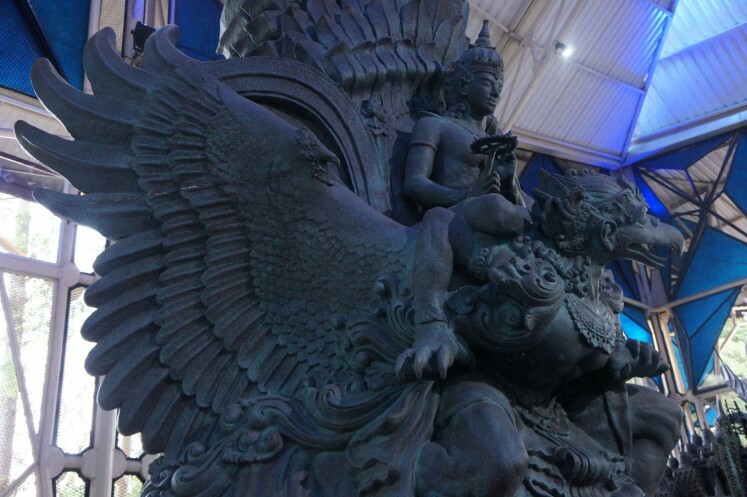 Bandung offers a varied experience as a city destination, making it an appropriate choice throughout the entire year. Situated 768-meters above sea level, Bandung presents a slightly cooler climate than Jakarta. The comfortable breeze that accompanies the warmth of the sun creates a pleasant environment for outdoor exploration, such as visiting the many cafes and stores around the city on foot or merely enjoying fresh air in a park. 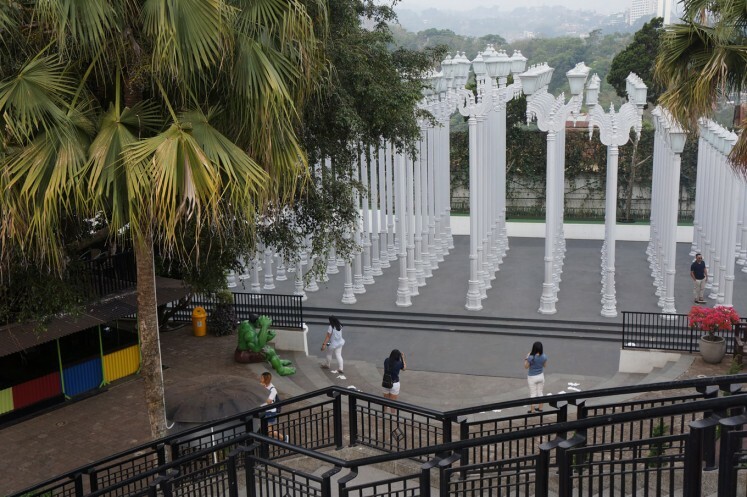 Visiting museums and art galleries are among the top things to do when in Bandung, as the urban landscape has witnessed some of Indonesia's most important historical events and over the years and has grown to be one of the nation's buzzing creative hubs. Ten years after Indonesia's independence in 1945, the country hosted the Asian-African Conference, which was the first non-aligned movement aimed at promoting Afro-Asian economic and cultural cooperation and opposing colonialism or neocolonialism by any nation. 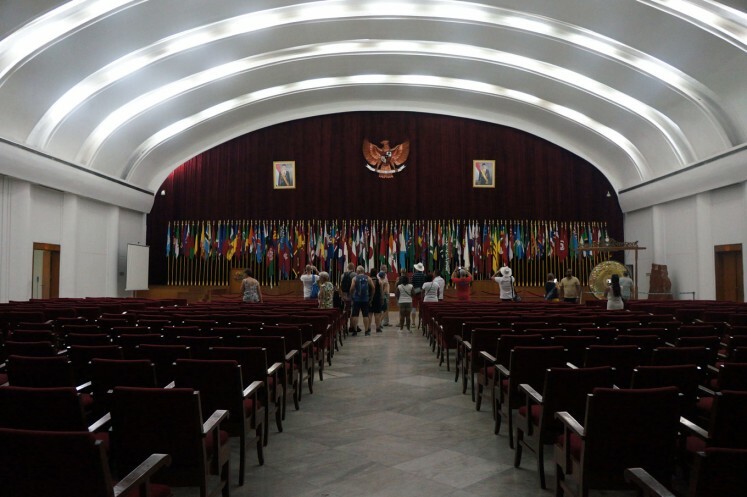 The historical event was held in 1955 at the Gedung Merdeka in Bandung, which is located on Jl. Asia Afrika. The art-deco building now serves as a museum displaying collections and photographs from the conference. 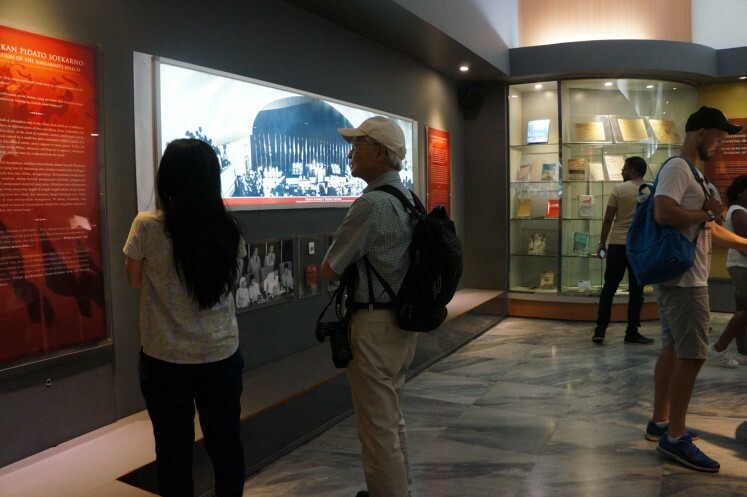 It remains one of the most popular tourist destinations as visitors seeks to learn about the history of the city. Admission is free. 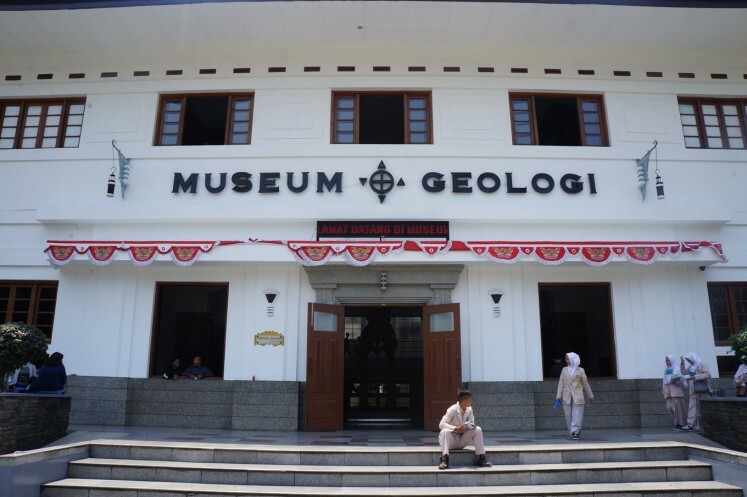 The Geological Museum in Bandung is the only museum of its kind in the country, displaying fossils, stones and artifacts unearthed in Indonesia. Located on Jl. Diponegoro, the art-deco building was first established in 1928. It has since gone through two renovations, in 1998 and 2000. 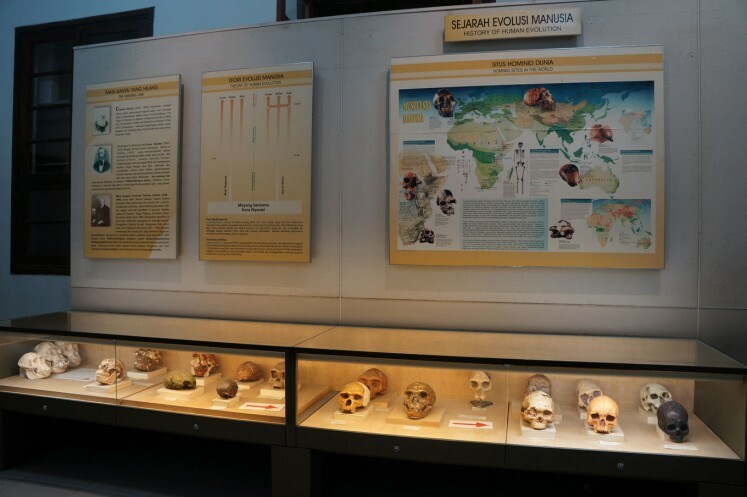 Now the museum is a popular educational destination for students and tourists, as visitors can learn about Indonesia's geology, including through seeing several historical artifacts, as well as videos and other visual aids. 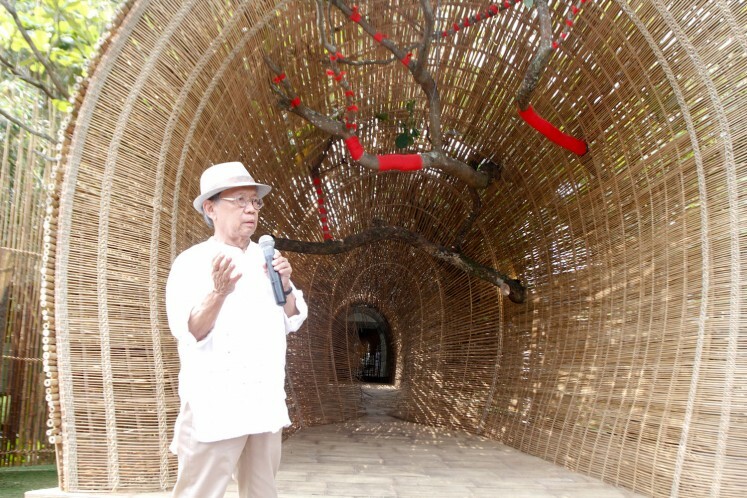 NuArt Sculpture Park is a private gallery primarily displaying works by renowned artist Nyoman Nuarta, who created the recently inaugurated Garuda Wisnu Kencana statue in Badung regency, Bali. The gallery is located on Jl. Setraduta Raya and spans 3 hectares. It boasts a unique layout that comprises of a three-story building hosting numerous works displayed indoors, as well as a spacious outdoor park. The space was designed with art enthusiasts in mind, as well as a center dedicated to encouraging creativity and the development of the arts, facilitating various events throughout the year. Selasar Sunaryo Art Space is another unique gallery that is a must visit when in Bandung. Located up on the hills on Jl. 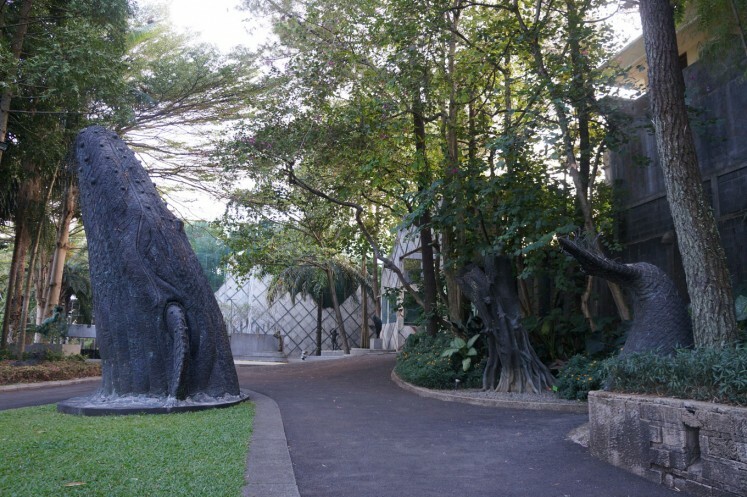 Bukit Pakar Timur, the gallery sits on the outskirts of the city and boasts a unique architectural layout designed to blend right in with nature and the local topography. Featuring artwork by Sunaryo, the gallery earlier this month celebrated its 20th anniversary with an exhibition by its namesake artist titled "Lawangkala" that will run until Dec. 23. Up in the northern parts of Bandung lies Ciumbuleuit, an upscale and quiet neighborhood that presents an alternative environment to the city center of Bandung. 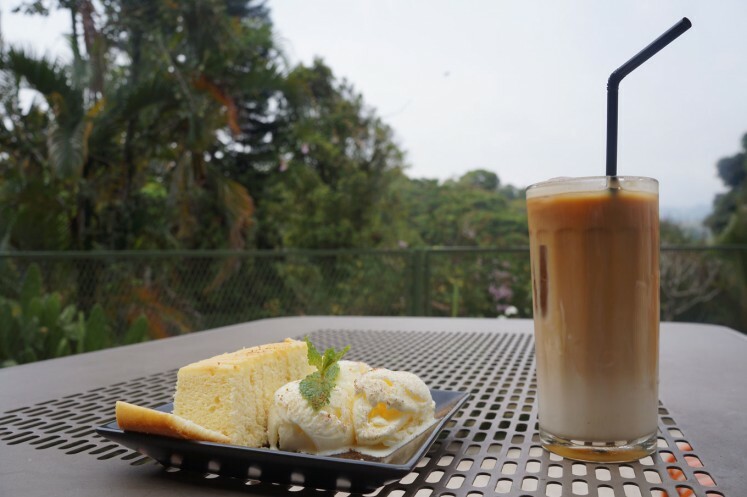 Its quiet streets and lush environment make for a pleasant area to explore on foot, where visitors can stumble upon cafes and eateries with picturesque views of the mountains. The area is also home to Rabbit Town, a peculiar complex designed as a selfie destination, with various corners around the building designed as photo spots. To add to the unconventional variety, Rabbit Town also has animal clusters inside, such as rabbits, birds and monkeys that visitors can feed. The destination, however, is probably best known for its installations seemingly taking after a few notable artworks, including Chris Burden’s Urban Lights, Yayoi Kusama’s Obliteration Room and parts of the Museum of Ice Cream in the United States, which drew criticism from the public yet still attracts curious visitors. 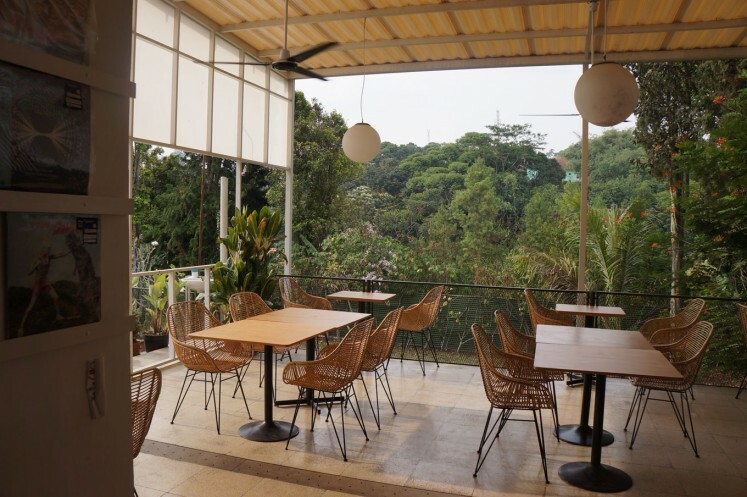 Bandung is home to numerous cafes and restaurants scattered throughout the city. With sweeping views afforded in Ciumbuleuit, the area is home to new and unique cafes opening up around the vicinity. 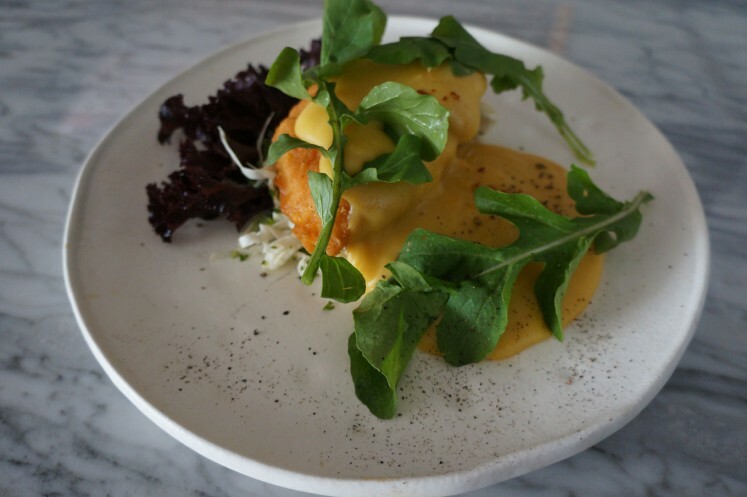 Among standouts include Kiputih Satu, a laid-back cafe located on Jl. Kiputih. Pick a table on the balcony and breathe in the fresh mountain air while sipping on coffee and tucking into cake on a fine afternoon. 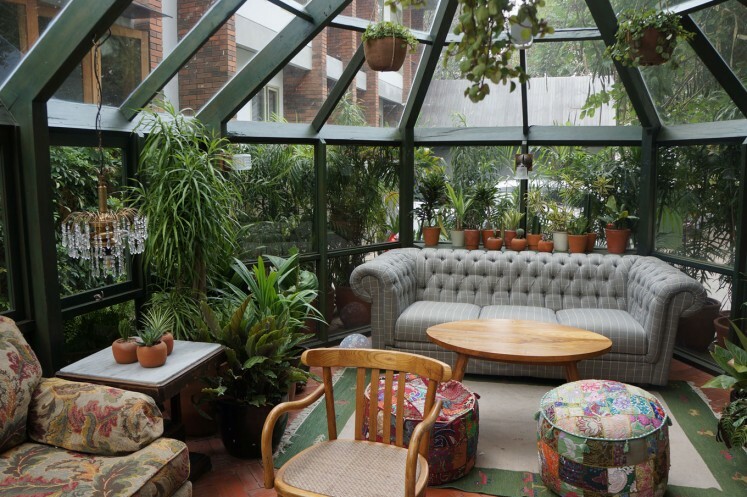 The House Tour with a Potting Shed on Jl. Panumbang Jaya not only offers delicious food and beverages, it can be enjoyed inside its unique glass house for a cozy meal. Try its Winner Chicken Dinner, comfort food comprising fried chicken with batter served with a side of a unique and creamy mashed sweet potato and salad. Another pick is Nara Park, a dining destination with a unique concept. Located on Jl. Rancabentang, Nara Park comprises several restaurants and cafes clustered together on a spacious and lush complex. Visitors can choose to sit anywhere and order from any of the restaurants, which offer a variety of cuisines such as traditional Indonesian, Japanese Teppanyaki and European Bistro. 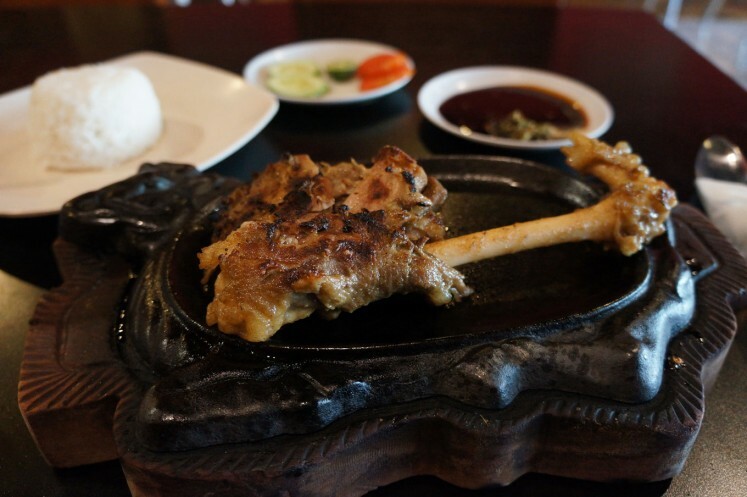 When down in the shopping district of Cihampelas, stop by the original branch of Kambing Bakar Cairo (Cairo Roast Goat), which serves succulent lamb roast and refreshing orange juice. One of the most famous and popular gifts to bring back from Bandung is Kartika Sari's pisang bolen, a banana-filled pastry with a variety of flavors, such as chocolate and cheese. Its main store is located on Jl. Ir. H. Djuanda, where there are also a wide range of culinary goods worth trying, such as local delights of cakes and crackers. In Cihampelas, which is a popular shopping area, find comfort in the affordable Amaris Hotel Cihampelas located on Jl. Cihampelas. For a visit in the quieter area of Ciumbuleuit, The House Tour Hotel on Jl. 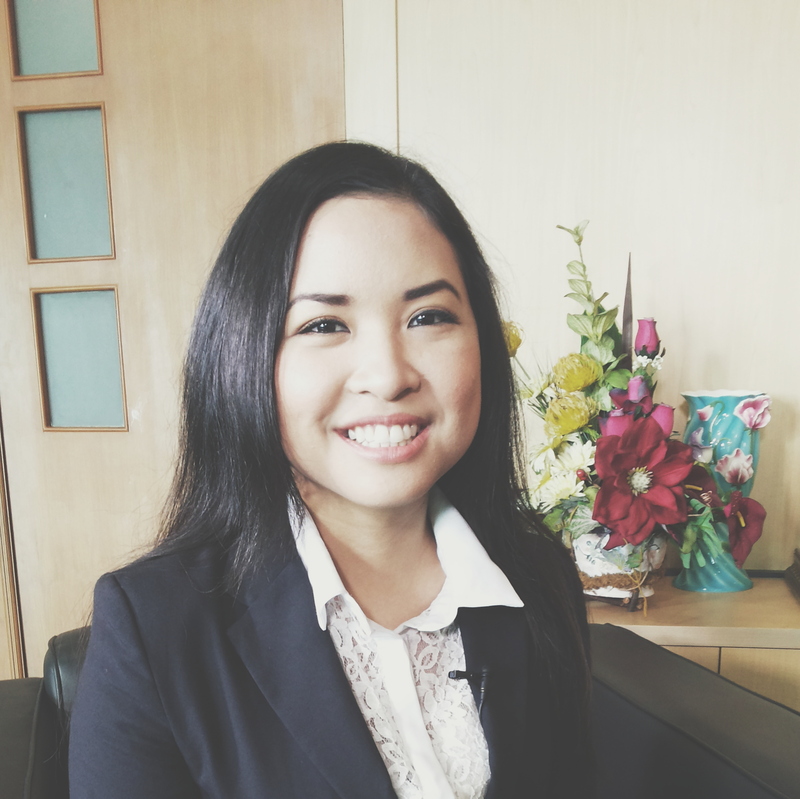 Panumbang is set to welcome guests in October. If possible, visit Bandung on a weekday, as weekends can get crowded and streets get jammed.